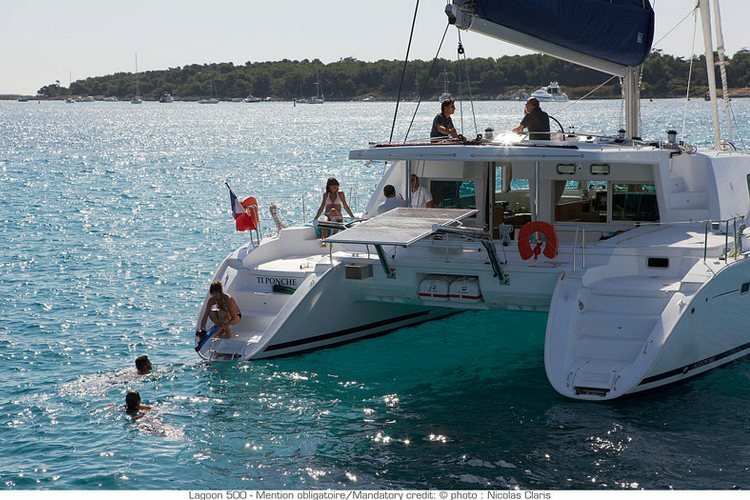 Lagoon 500…a catamaran for rent in Croatia. The boat is available in marina: Split, Trogir, Sibenik, Zadar, Sukosan, Biograd, Murter. The sailing catamaran Lagoon 500 is one of the most popular and the catamarans Lagoon has launched available for charter in Croatia. 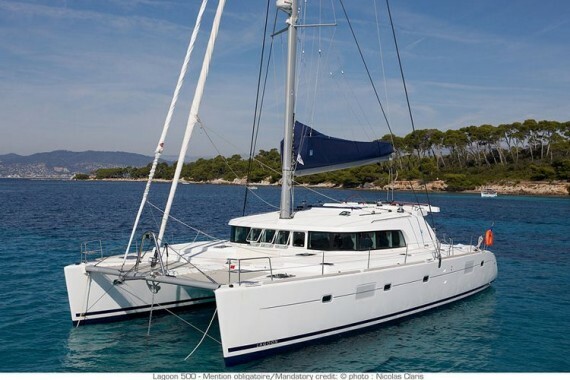 This catamaran is available for bareboat, skippered and crewed charter in Croatia! 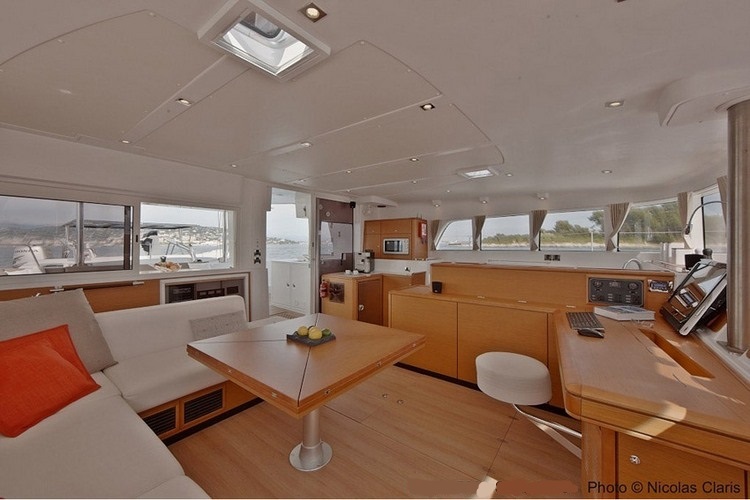 This catamaran is a right option for everyone seeking to entertain their family and friends, live aboard, or cruise around beautiful Croatian islands. 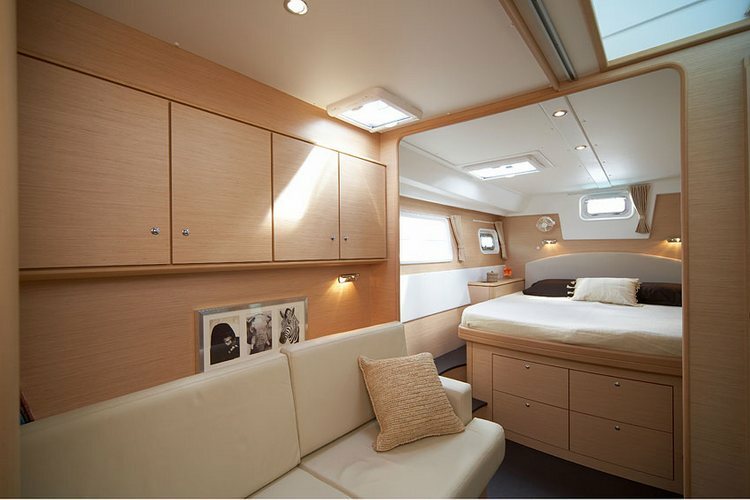 There is plenty of space and comfort to lounge around all over the catamaran so one will be able to socialize with friends and family. 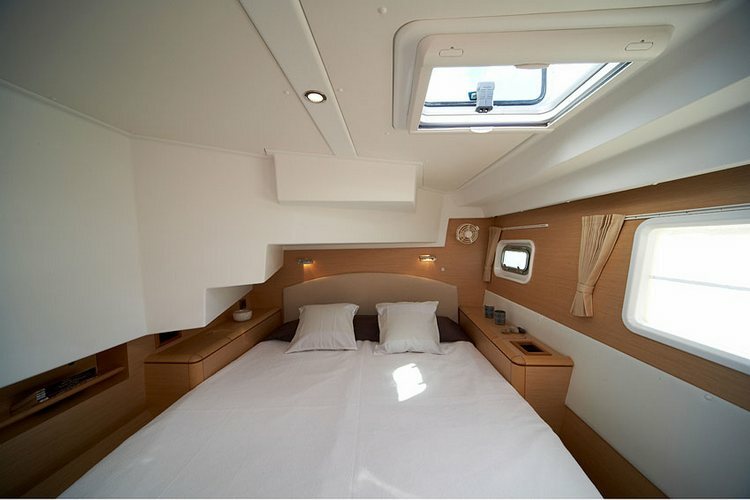 In Croatian charter market this sailing catamaran comes in version with 4 double guest cabins and a separated single skipper cabin so guests can have their privacy on board. It can comfortably accommodate up to 10 guests. When it comes to the interior living space it is worth mentioning that saloon offers comfortable seating for 10 around a modular table which can be expanded for dining or retracted to create a coffee table. The navigation center is forward facing and central in the saloon. 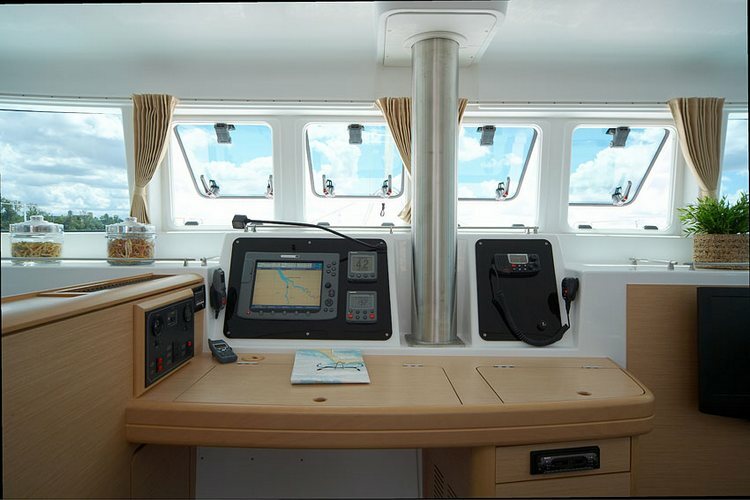 The fully equipped galley features a three-burner stove, a large oven and grill, two refrigerators and a professional stainless steel work surface. 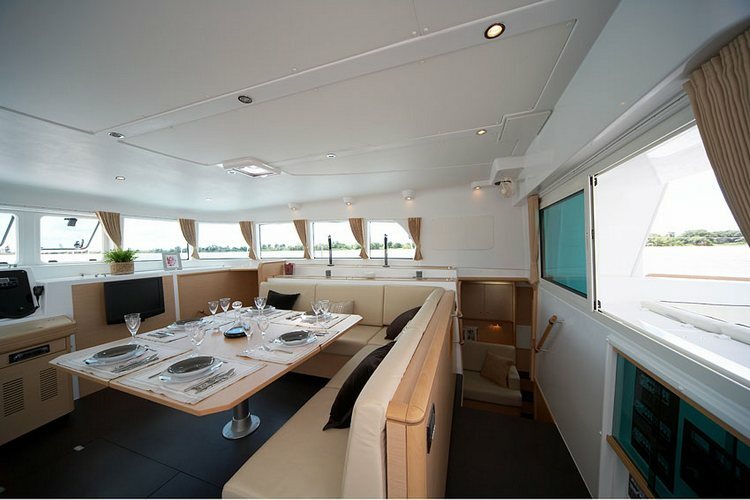 The cockpit as well as forward area with the trampolines are spacious and are ideal for sunbathing during Your sailing holidays. 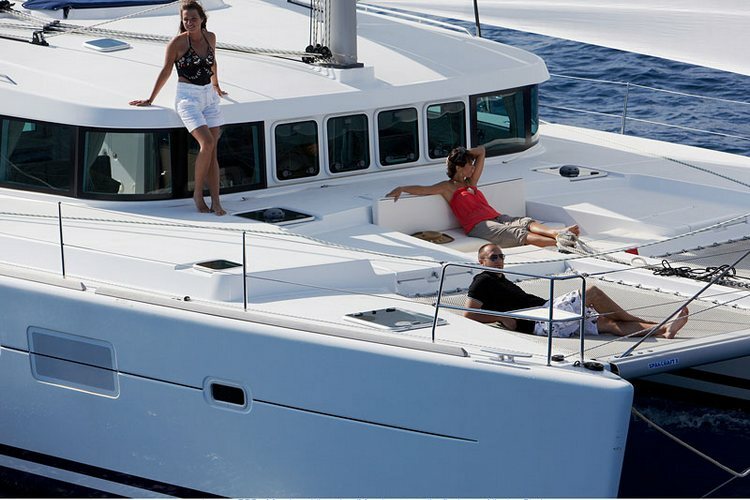 This catamaran offers elegance and superior functionality and will surely fulfill the wishes of the demanding charter guests! 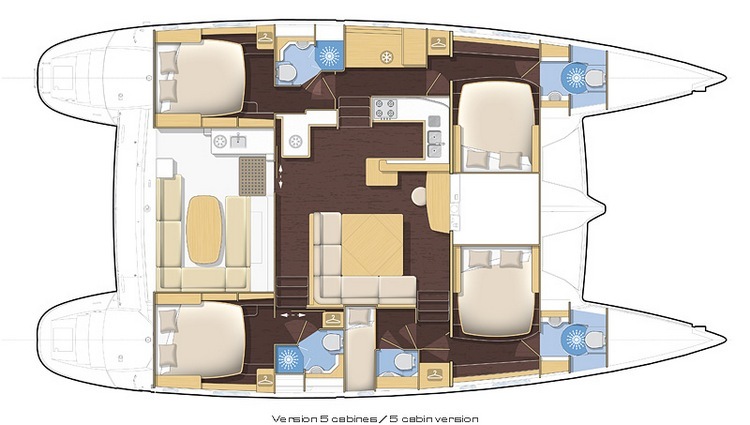 Here you can find basic information about Lagoon 500. Other specifications, can vary from boat to boat, therefore we recommend to search for particular Lagoon 500 from our database, in the destinations of your preference.